The prospects of many of us getting an Apple Store in our towns took a major hit in the past few weeks with the rash of iPad distribution deals that Apple has signed with major retailers. 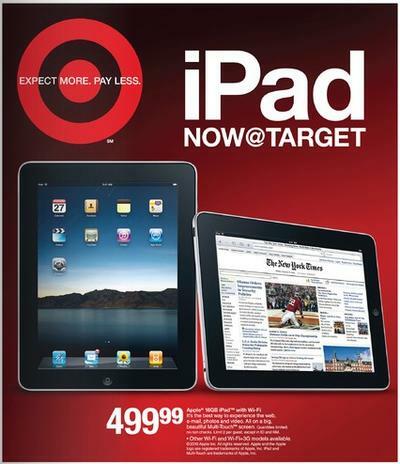 In recent weeks Walmart, Target, Sam’s Wholesale Club, AT&T Stores and of all companies Verizon Wireless has contracted with Apple to sell the iPad. Some of these stores such as Walmart and Target were already carrying the iPod and iPod Touch line so this is a natural progression, the Verizon deal leads to a whole other discussion about iPhone exclusivity that has been discussed ad naseum. This seems to put a major damper on the prospects of mid sized cities and towns of landing a popular Apple Store. I for one live in a city that does not have an Apple Store but I do have the privilege of either driving 45 minutes north to Sacramento or 40 minutes south to Modesto, CA to reach my favorite store. I see the distribution expansion of the iPad to major retailers a huge blow to my town, Stockton, CA, ever getting an Apple Store of their own. It makes perfect sense, with the popularity of iOS devices, for Apple to save the expense of building and staffing their own stores in favor of these high volume distribution channels. As an Apple stockholder this brings a huge smile to my face as sales will certainly increase and expenses to the company bound to go down. 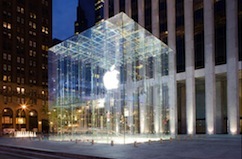 As a consumer on the other hand it makes me sad that I will probably not see a local Apple Store anytime soon. This leads me to ponder the next steps for Apple in the distribution strategy as well as the overall Apple experience. What will be the next step? 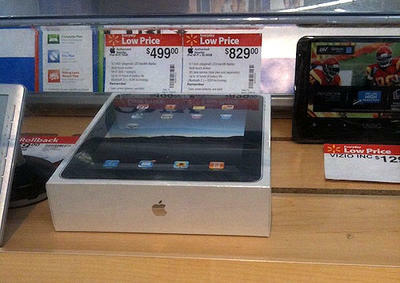 Will we see iMacs and MacBooks donning the shelves at general retail box stores similarly to what we see in Best Buy? Might Apple start putting mini Genius Bars in Walmart and Target so as not to deprive those customers of the Apple experience? Wherever the strategy takes Apple fans I will continue to drive by what I feel the perfect retail location for Apple in my town and dream about what could be.